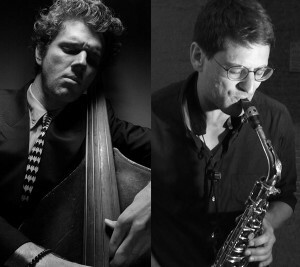 Years ago they both lived in New York, now they meet in Japan: Dave Moss (bass) and Jonas Labhart (saxophone) combine their musical voices to a strong duo exploring the realms of Jazz and Improvisation. The energy from New York still in their veins, Dave lives now in Kyoto and Jonas in Zurich, Switzerland. Come and absorb the vibrations of that new duo!